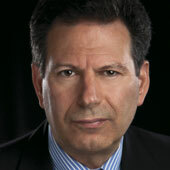 Robert D. Kaplan is chief geopolitical analyst for Stratfor, a private global intelligence firm. Robert D. Kaplan is the author of fifteen books on foreign affairs and travel, including The Revenge of Geography: What the Map Tells Us About Coming Conflicts and the Battle Against Fate (Random House, 2012), Monsoon: The Indian Ocean and the Future of American Power (Random House, 2010), Warrior Politics: Why Leadership Demands a Pagan Ethos (Random House, 2002), and Balkan Ghosts: A Journey Through History (St. Martin’s, 1993). He was a foreign correspondent for The Atlantic for more than a quarter-century. In 2011, Foreign Policy magazine named him one of the world’s “Top 100 Global Thinkers.” In 2012, he joined STRATFOR as chief geopolitical analyst. From 2009 to 2011, he served under Secretary of Defense Robert Gates as a member of the Defense Policy Board. Since 2008, he has been a senior fellow at the Center for a New American Security. From 2006 to 2008, he was the Class of 1960 Distinguished Visiting Professor in National Security at the U. S. Naval Academy. His most recent book is “Asia’s Cauldron: The South China Sea and the End to a Stable Pacific,” (Random House, 2014).